Turn your Maine rental property over to the trusted leasing experts. "We're here to maximize your rental income and eliminate hassles. signing the right lease, faster than you'll believe possible." 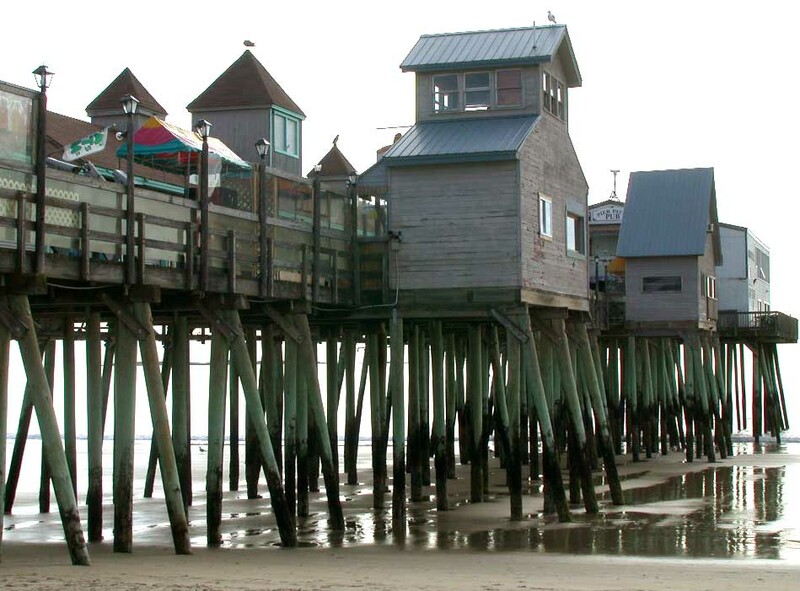 With seven miles of sandy beach, Old Orchard Beach easily maintains its position as one of New England’s best beach resorts, featuring the family-friendly amusement park Palace Playland. An active rental market includes many short-term/vacation rentals as well as year-round rental opportunities. 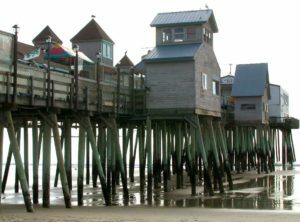 Just 20 miles from Portland, Maine’s largest city, Old Orchard Beach is convenient to large employers including the University of Southern Maine, the University of New England, MaineHealth/Maine Medical Center, Southern Maine Medical Center, Mercy Hospital, Unum, Idexx and Wright Express. Whether you’re a longtime landlord or you’re new to renting your property, at Aquarius Property Management, we’ll work with you to make sure your rental achieves your personal and financial goals. As leasing experts, we work with owners of single-family homes, condos and small multi-units, furnished and unfurnished. We can coordinate cost-effective upgrades that help you maximize your rental income and attract the highest quality, carefully screened tenants. And our “win-win” philosophy means that our experienced team will keep you and your tenants happy, while protecting and maintaining your investment. Check out how our flexible solutions can maximize your rental income and eliminate hassles. Why Choose Aquarius Property Management? Learn how our team works for you. Work with a property manager who's committed to returning your calls and emails. Our team makes open communication a top priority. We're always working to ensure your questions and concerns are answered promptly. We're experts in Maine rental properties and we carefully monitor the laws, ordinances, and housing guidelines that impact your property. We'll keep you compliant and protected. Our property management approach includes maintaining tenant satisfaction. We do this by resolving problems quickly and listening to our renters. In turn, we keep turnover rates low and encourage tenants to take good care of your property. It's easier than ever to stay in touch with our team. Our online portal makes it easy for tenants to pay their rent and request repairs. It also gives you direct access to your financial statements. Our comprehensive marketing approach includes digital property listings and traditional advertising techniques. We make certain your vacancy doesn't stay that way for long. At Aquarius, we place only the very best renters. Every application we receive undergoes careful screening, with background and financial checks designed to protect you and your rental property. Getting your rent payments each month shouldn't mean playing a guessing game. We handle all invoicing and rent collection on your behalf, enforce any late penalties, and deposit your earnings directly into your bank account. Is keeping up with your maintenance needs overwhelming? We can handle all maintenance for you! We coordinate repairs and keep your rental in good shape. Property inspections are an integral part of our property management approach. These allow us to check that all is well behind the scenes and address any red flags. Like to keep an eagle eye on your performance? No problem! Sign into the owners portal at any time to view your latest statements and notes from our management team. What's your rental strategy? Let our expert leasing team find the right tenants to sign the right lease, faster than you'll believe possible. We'll maximize your rental income and eliminate hassles. We'll orientate your tenants to the property, collect payments, and manage turnover. If something goes wrong, we'll resolve the situation and find a great new tenant for your property. Are you current on the nuances of tenant-landlord law? Let our team help provide you with the services you need and connect you with an expert's point of view, protecting you from legal nightmares. "Linda and her team at Aquarius are truly dedicated and excellent at what they do." "Aquarius was very respectful and courteous during the whole process of finding me a new place, and now I am in love with the spot." "Always find me great tenants. Great company. A pleasure to work with." • Learn how much your property could rent for. • Find out how to maximize your profitability. • See how we can offer the right fit for your goals. We know Greater Portland. We know rentals. Do you own a rental home in Portland, Maine or the surrounding area? Keeping your home performing optimally is no simple feat. From locating a great tenant for your property to handling maintenance requests, monthly accounting chores, and year-end tax paperwork, being a landlord extends far beyond collecting a rent check each month. Have you considered working with a professional property manager? At Aquarius, we aim to offer the best property management in Greater Portland. Our management team understands the ins and outs of our market, and we work to continually exceed our clients' expectations. Whether you own one home and you need some help or you're juggling a large portfolio, learn how we can help maximize your returns & reduce the stress on your shoulders.